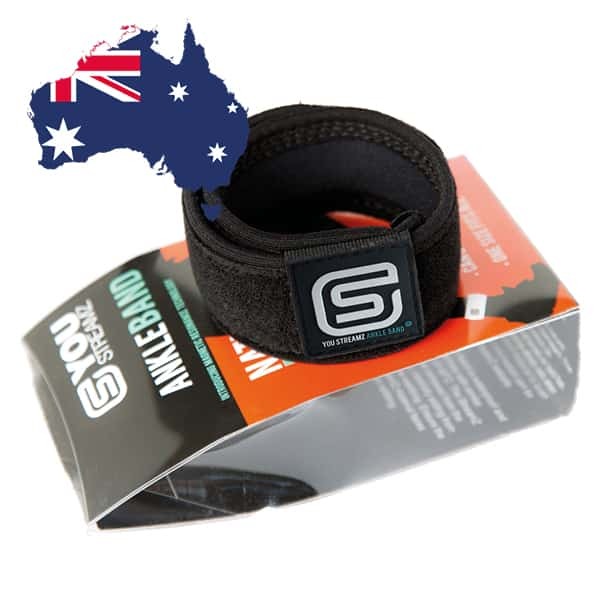 EQU StreamZ fetlock bands were developed in the UK and are now available in Canada. They provide a natural response to a variety of symptoms found with horses, introducing a new technique of magnetic therapy to the equine market. Unlike traditional magnets StreamZ creates no heat allowing them to be left on for long periods of time and creating a non invasive form of therapy. EQU StreamZ ambassadors include riders including International 5* show jumpers, dressage riders, 3-day eventers, barrel racers, rodeo competitors, racing yards, reining and much more. Our global reach has extended to Canada and helped us partner with some of Canadians leading riders. Rodeo competitors such as Scott Schiffner, Canadian cowboy of the year. Barrel Racing professionals such as Nancy Csabay, Kendra Edey and Amara Duxbury and many more. After 2 severe bouts of cellulitis in the fall of 2017 my mare Sara suffered irreversible damage to the circulatory system in her leg causing periodic fluid retention. When the cold weather hit last winter, keeping the fluid out of her leg was a nightmare – standing wraps was the only way to keep her leg ‘fluid free’. Needless to say, I was not looking forward to another 100+ days of standing wraps this winter. I invested in a pair of EQU Streamz in November as they sounded like a potential solution to Sara’s issues. I am happy to report that we have had several ‘cold snaps’ in Saskatchewan since and Sara’s leg has stayed fluid free! She is also on 100% turnout, and these bands have held up incredibly well whilst being worn outside 24/7 – they still look new after 60 days of outdoor use in varying elements. Worth every penny! I LOVE this product! I bought a set of bands for a 2yo that kept blowing abscesses. Within 7 days of bands on she blew the last abscess she’s had none since August! I bought a second pair for one of our geldings who can get tight in his hocks and with them on he hasn’t shown any signs of being tight. We also like them on our senior horses for body maintenance and conditioning! I love using EQU streamz for my barrel horses and DOG Streamz on my dog. As a veterinary technician I felt I should research this product first and have personally witnessed phenomenal results. My 24 yr old barrel horse still places in the 1D but will slip down to the 2D or 3D without them. I also trialled them on a horse with a fractured pastern bone a hoof injury that resulted in a good 1/4 to 1/3 of hoof breaking off at the cornet band. No swelling or infection whilst wearing the bands. Most recently another horse got kicked and his entire leg swelled-up foot ball size from the gaskin/hock down to the pastern. I put Streamz on him immediately, cleaned the wound and saw the swelling decrease in 24 hours; 48 hours later he received one dose of antibiotics. No anti-inflammatories were prescribed due to swelling decreasing with the bands on, and he experienced no lameness! I then purchased a streamz band for my dog as well. He got hit by a grain truck over a year ago and has never fully recovered but is on a controlled diet and supplements. Within 3 weeks he was able to get up and 4-6 weeks later he was back to his ‘puppy self’ again. It was incredible!! I have since reduced his supplement levels and he is able to run and play and come with me on trial rides when I condition my horses in the hills. What I love the most about StreamZ is their ‘ease of use’ and how they compliment therapy regimes perfectly both pre and post competition. I bought the dog collar for our senior blue heeler. He used to keep up with me whilst I was our riding horses but was then unable to do so. We had some x-rays done and found he had degenerative arthritis. The collar went on! Since wearing his StreamZ smart collar he has more energy, is happier, and is now happy to join us on our hacks and keep up with us! We’ve noticed a big difference in him! I have also used it on my horse with a bone chip in his knee with great results. We use EQU StreamZ on all of our horses and have had great results across all of them. My #1 mare wears these 24/7 and her legs stay tight and cold year round whether she’s jumping, breezing on the track or running barrels! As a horse owner I’ve tried many different products over the years, but this is one product I can say I will 100% stand behind!! I have seen it work wonders for my horses, my one mare in particular. This fall Ritz, after a summer off due to a string of injuries, got cellulitis right before the last big event of the year…. the whole week before she wore the bands which helped keep the swelling in her leg down dramatically. I started using the EQU StreamZ fetlock bands on my 17 year old barrel racing mare, Easy. After a few days of using them, she felt free and more supple. I couldn’t believe the difference! I was going to get her hocks injected again, but after using the streamz bands I didn’t feel I needed too. I purchased this product for my mare who has arthritic changes in her front fetlocks. Within a very short time she was very free in her stance and swinging in the front with even movement. My dog being 12 was also starting to get stiff and slowing down. Shortly after I put his DOG StreamZ smart collar on he was tearing around the back yard like a young dog! My husband also benefits from this product for his sciatica and leg pain. Just an amazing product. Thank you StreamZ! I love my Streamz! I wear mine every night and it keeps me from being stiff or sore when I wake up. I also have used them on my horse before and noticed a change in how he felt. More energy and happier. Also less muscle soreness while competing and better recovery time. I bought a pair for my mare having heard great things about these bands. I ended up using one of the bands on myself after breaking my back, before getting the YOU StreamZ for myself. What a great product. Absolutely love them and highly recommend to everyone! I started using these bands on an Appaloosa gelding who had been sore due to a previous injury. He only takes short strides and doesn’t like to run and play how he used to. In a short time in wearing the Streamz bands he started feeling a lot more loose! If only could have these bands for every single one of my horses! I first bought EQU Streamz magnetic therapy bands for my mare who suffers from early onset arthritis. I was sceptical at first because of the numerous products and supplements that I have tried over the years but boy can I tell you!! I noticed within ONE HOUR of putting them on her the difference in the way she moved around. More freedom in her shoulders and overall in general. With having such amazing results with EQU streamz horse bands we decided to give the human version a go – their YOU Streamz ankle band. Yet again the results with this blew me out of the water! Every time I feel the aches and pains I just put my streamz band on and BAM within a few hours or even overnight I feel a lot better. This product has been so beneficial to my whole family we now even have StreamZ for my grandparents and have them hooked on how amazing they are. We can’t live without them. Thank you guys for such an amazing product! EQU StreamZ bands have helped our old school horses with stocking up and various arthritic stiffness. I would definitely recommend for those that are having issues with arthritis and mobility. I wasn’t sure trying this product because it seems so minimal but am in shock after using them!! The range of movement my horse has after wearing StreamZ bands for two weeks is incredible!! He had a bad cut and I wasn’t sure how it was going to heal and I swear the StreamZ technology has improved the circulation and healing immensely and helped reduce the healing time. I purchased the equine EQU Streamz Bands and am super impressed with the results! My mare gets wind puffs in the winter, and since I started using them the inflammation has drastically went down. I will be investing in another set to have them on all four legs all the time. Very impressed, worth every penny! I started using the StreamZ on my weanling colt who is going through a growth spurt and having a few issues. I bought him a set to wear and within 24 hours he was running and bucking again instead of short stepping around his pen. Very happy with this product!! We use all of the Streamz products…. our barrel horses (age 6, 19, 20) recover faster from exercise and competiton. We even put them on an old Rope horse who is very arthritic and stoved up – we haven’t seen him move out like that in years. My husband is retired professional bull rider and swears by them for his own hip and shoulder pain relief and our daughter has seen a difference in her balance when riding after multiple concussions! Even our old faithful 15 year old dog uses them, Janey. She doesn’t have the hip shakes anymore and finds it easier to get up since wearing her collar! My horse is moving much more freed up and moving more fluid!! I tried this product for my miniature for we were running out of options after years of every treatment out there. The miniature could barely walk at the time we put them on. After three days of wearing the StreamZ magnets for 24 hours a day he was trotting through the pasture!! To this day the magnetic bands stay on and my son is able to ride him again and he is walking and running around the field with the other horses. He is a happy little horse again ❤️ I recommend this product to everyone!! When I was initially considering purchasing a pair of equ streamz, I was skeptical – but I am so happy now I decided to! EQU streamz technology has made a tremendous and irreplaceable difference in my horses’ happiness and performance. It is the first product I have found that I can put on my gelding’s hind legs that he won’t kick at. Furthermore, it is difficult to find a therapeutic product that you you put on your horse no matter the weather even if it’s wet, cold or hot, but Equ streamz is it! Thank you so much for keeping my horse feeling his best both at home and down the rodeo road. Love these bands! Bought them for my horses but I have been using them on myself too for an injured knee with great results. Less swelling and less pain! Carly (the Canadian based Streamz team member) was very helpful answering all my questions. I bought them for an injured mare and the bands definitely made a difference! I noticed an improvement within a few days, she seemed to be moving freely, the bands stayed on with the insane amount of mud we had this fall, and I never once had to worry about her or other destructive horses destroying them! If i could own a pair for every horse..i would! They keep our horses front strong and fresh..help promote healing and keep the inflammation down!! My horses feel Amazing when wearing these bands! We put the band on my mom while she was in the hospital after they tried everything else to help with swelling. She had the thought that nothing will work. Within a day of wearing a YOU Stream ankle band we could get her socks to fit back on her legs! She then started asking for them to be put right back on after the doctor left as the inflammation had reduced so much. I bought my older competitive mare with chronic inflammation of her left hind fetlock a set of these new magnetic bands. She was showing issues in the joint and soft tissue. As she’s older, she doesnt play much and her ankle would swell almost every day… Streamz treated this far better than medication, consistent cold hosing, and wrapping did! I’ll take them off for the day and by the end of the day her ankle will puff up and be warm, and the next day it’s down to nothing! I really like this product! I have noticed that I haven’t had to get my horses worked on nearly as much while using these bands! They stay free’r in their movement and are feeling overall much better while using the bands! Christie Rey is my barrel horse and we found out she was going in for a second knee surgery this June. I ordered them and everyone at StreamZ was so helpful. You guys got it rushed and out here in two days to make it for her surgery. I put the bands on as soon as she was out and she came out of her surgery so strong! To this day she wears them daily and they have certainly helped with the swelling in her knee! My horses love their EQU StreamZ bands and can’t go without them!! You can see the difference in their stride when wearing them. My gelding suddenly presented with hind end abnormalities. It presented neurological issues but the vets could find nothing wrong with him. He was “high stepping” with his back feet and could barely back up. Nerve blocks and blood work showed nothing. I had purchased EQU Streamz fetlock bands for my mare with navicular, and they showed up four days after my gelding started showing his lameness symptoms. I decided to throw the bands on him first… why not I thought! After four days of lameness, within 24 hours of him wearing the StreamZ bands it was GONE! Completely gone! Check out the before and after vids! Highly recommend these bands, thanks EQU streamz! I purchased a set of the EQU Streamz horse bands for my gelding who had surgery on his left hind fetlock. Since his surgery he had been swollen in the area of his surgery. I put the bands on him, and the next day the swelling was gone!! It seemed that if I were to keep the bands on him he would not be swollen, but if they were kept off for a while the swelling would reoccur. Absolutely love the these bands, and have used them on a few of my other horses as well. Can’t say enough good things about this product. My husband, dog and mare all use with phenomenal success across all of us!! Amazing! I started with my dog, then for my mare and then for my husband!! Success stories with all of them. Especially my mare who has arthritic changes in her front right fetlock. She is sound and happy and I haven’t had to start any other form of treatments through injections. So happy and I tell everyone about this fantastic product!! My main rope horse comes up sore or completely lame every year (without us being able to work out why) until we tried the bands and he’s been 100% sound since. I then recommended them to my friend for her horse who was really stiff. She noticed a difference overnight and bought herself two further pairs. I’ll recommend StreamZ every time and I love that they can be worn 24/7. I have noticed several results that would include ‘speeding up quicker’, ‘healing results on a serious hoof injury’ to ‘no more lameness’ on my aged mare. I have also noticed that there is no more fluid build up (filling) in her hocks. I swap the bands from one horse to the other at the moment but I really need to invest in a second set of bands for both the horses. Thank you so much StreamZ! We love how the EQU StreamZ fetlock bands reduce the wind puffs (wind galls) on our horses back legs after a barrel race. An exceptional product!! I was skeptical at first, but I’m so happy I decided to purchase EQU StreamZ! For my horse who usually dislikes boots or wraps on his legs, EQU streamz have been a game changer in keeping him feeling performance-ready as well as keeping him happy when we are on the road or away from home. The design of EQU StreamZ is also incomparable: quality made and straight forward. It’s difficult to find a therapeutic product you can use in all weather conditions, but whether it’s hot, cold or wet, EQU StreamZ is it!! I started using EQU StreamZ fetlock bands on my senior gelding this fall and can’t say enough good things about them! He’s struggled with soundness issues and navicular – these bands paired with his regular farrier visits have him pain free and acting like his 8 year old self again! StreamZ have helped my daughters pony Cali tremendously! Cali has foundered and experiences pain and inflammation from it; since wearing her EQU StreamZ bands she is more comfortable and mobile. She had very clear and obvious results within 3 weeks of use and wears them 24/7. Love these! I have 3 pairs for my horse’s and the dog collar. My dog was having issues with unexplained limping. Since he has been wearing the collar he moves very well with no soreness or limping. We have also noticed a huge improvement in my horses as well. Love how you just have to put them on and basically forget about them, really easy to manage and no daily pain medication now required! I’ve been using these bands on my mare who is completely sound but has a slight fluid bump on her right front leg, the bands have significantly reduced the size of the swelling and I’m impressed with this product. I’ve used EQU streamz as part of my horse’s rehabilitation in fighting navicular and a torn tendon. I’ve used homemade supplements and LED light therapy too. Together the results have been more than promising – in fact, more like a miracle!! In two months between the X-ray and MRI results his navicular bone is now normal! Just waiting for soft tissue to heal and we will not know exactly until spring when another scan is done. He is happy on paddock rest wearing his EQU streamz 24/7, comes in at night and hasn’t been lame since July!! I initially bought these for my giant dressage mare, who just had minor leg bumps and blemishes and while they worked well for her, keeping her legs tight and the rest of her body free and relaxed, the biggest win was with my young horse! Since about 2014 she’s had a huge lump leftover from a splint and despite being healed it was quite prominent. I decided to try the bands on and 24 hours later I couldn’t find the splint anymore!! My husband is a certified farrier and would not believe me when I told him so I made him look for himself and he couldn’t find it either! Next we plan to try the bands for ourselves after seeing how well they worked with the horses!